BlackBerry's popular messaging platform is reportedly debuting on iOS and Android in the next few days. 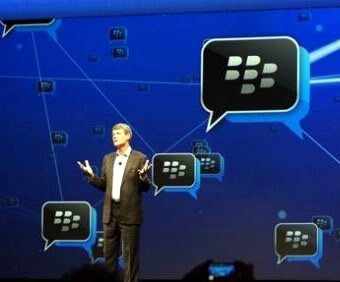 BlackBerry announced that BBM would go cross platform at its annual conference in May. BlackBerry's messenger service may finally cross the platform bridge in the next few days. BlackBerry Messenger is reportedly set to make its debut on Android this Friday, and become available on Apple's App Store as soon as Saturday, according to BlackBerry news site CrackBerry . It's been a bit of a wait since BlackBerry announced in May that its messenger service would be made available across different mobile operating systems. By going cross platform, BlackBerry hopes to compete against services such as WhatsApp, which boasts more than 300 million users. A BlackBerry representative declined to comment on the rumor. Now on to more wireless news. There is no charge for subscription and there are no membership restrictions. Readers are a very select group of wireless industry professionals, and include the senior managers of many of the world's major Paging and Wireless Messaging companies. There is an even mix of operations managers, marketing people, and engineers — so I try to include items of interest to all three groups. It's all about staying up-to-date with business trends and technology. I regularly get readers' comments, so this newsletter has become a community forum for the Paging, and Wireless Messaging communities. You are welcome to contribute your ideas and opinions. Unless otherwise requested, all correspondence addressed to me is subject to publication in the newsletter and on my web site. I am very careful to protect the anonymity of those who request it. I spend the whole week searching the Internet for news that I think may be of interest to you — so you won't have to. This newsletter is an aggregator — a service that aggregates news from other news sources. You can help our community by sharing any interesting news that you find. Still The Most Reliable Wireless Protocol For Emergencies! If you are reading this, your potential customers are probably reading it as well. Please click here to find out how. Newspapers generally cost 75¢ $1.50 a copy and they hardly ever mention paging or wireless messaging. If you receive some benefit from this publication maybe you would like to help support it financially? A donation of $50.00 would certainly help cover a one-year paid subscription. If you are wiling and able, please click on the PayPal Donate button above. Any amount will be sincerely appreciated. With the M1501 Acknowledgement Pager and a SPARKGAP wireless data system, you know when your volunteers have been alerted, when they've read the message, and how they're going to respond — all in the first minutes of an event. 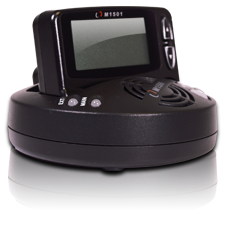 Only the M1501 delivers what agencies need — reliable, rugged, secure alerting with acknowledgement. Are You Still Paying A Cellphone Bill? Looking for great mobile service at a great price? With Solavei Mobile Service, you get amazing value—unlimited voice, text and data on a nationwide 4G network for $49 per month or FREE when you share! And it gets even better. We're making commerce less expensive and even profitable by offering a great opportunity to earn income on a service you use every day. By not spending millions on billboards or TV commercials, Solavei spends it on the most powerful advertising force on the planet—you! Learn more on Solavei.com Enroll today! Members of the media and Apple employees wait outside Apple headquarters in Cupertino, Calif., for the company’s news conference. This is certainly a divisive update — things have changed a lot and look much different than what Apple users expect to see. There are simply going to be users who don't like the new font, or the brighter color palette or the flatter look of the system. A lot of those are subjective, though concerns that certain icons or fonts may be too difficult to read at a glance are understandable. If being able to read things on the iPhone is a big problem for you, consider heading to the “General” settings menu and adjusting the font size. One feature that some may find particularly helpful is the option to turn on automatic app updates, though the iTunes & App Store menu, so that you won’t have to authorize the free updates that come with apps you already have. That'll save you some trips into the App Store app, which should make Sen. John McCain (R-Ariz.) happy, for one. Many of the changes Apple has designed to make things simpler — something the company has accomplished for the most part, though it will take some time to adjust. Clarity, after all, is what Apple has said drives its design philosophy for this system. Running online services is hard, but it’s not that hard. For example, Google has a much better track record. Apple’s outages are often measured in hours, while Google’s are more likely to be measured in minutes. Recent Apple outages have affected 1 to 3 percent of users. One of Google’s most serious outages affected 0.02 percent of users. . . .
Google organizes its engineers into many small teams and gives each team the resources and autonomy they need to make sure their corner of Google’s vast software infrastructure will be efficient and reliable. Google executives avoid micromanaging their employees. Instead, they obsessively measure everything they can, and hold teams responsible for their performance. This decentralized approach is a liability when it comes to user interface design. With engineering decisions being made from the bottom up, there is often no one to make sure that Google apps have simple, consistent interfaces. As a result Google apps are often cluttered and confusing. That kind of hierarchical structure, with engineers subordinate to designers, can produce beautiful, user-friendly products. Designers can intensively test the user-facing aspects of a new product, making sure that the software feels responsive, that menus and buttons are logically organized, and that an entire product has a consistent visual vocabulary. But this kind of top-down, design-focused testing isn't going to uncover problems with network services. A system that might work flawlessly with a thousand users can grind to a halt with 10 million. Making engineers subordinate to designers may make it difficult for engineering teams working in the depths of Apple’s infrastructure to get the time, autonomy, and resources they need to make their services bullet-proof before they’re released to the masses. Diehards will have already dusted off their lawn chairs, and now those happy to wait longer for new devices, or who aren't interested in them, know when to steer clear of the line at the Apple store. 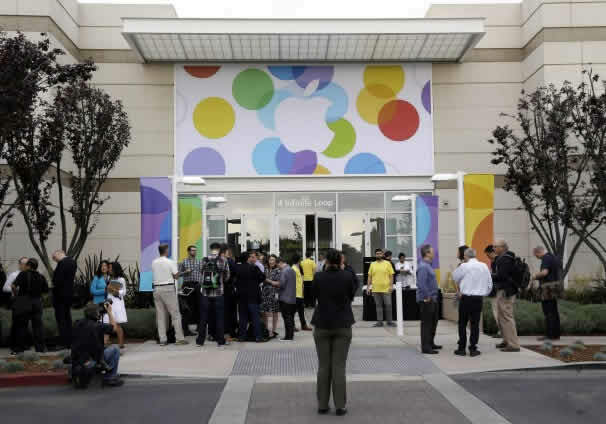 It’s a little hard to measure how big the crowds will be for grabbing up the iPhone 5s and the mid-range iPhone 5c. The company started selling pre-orders of the iPhone 5c last Friday, but unlike other years has not released any information on how well the phone did in its first weekend of pre-sales. The break from tradition prompted concerns that Apple hasn't sold enough of the phones to brag about. And on Monday the company’s stock slid below its 200-day moving average, at one point dropping close at $450.12. But shares were back up over 1 percent on Tuesday, at about $457.69 a share in midday trading. And CNET has shared a report from the Chinese site Sina Tech that reservations — spots reserved in lines at Apple stores — for nearly all models of the iPhone 5s have already sold out at the company’s Beijing store. Only the reservations for the “space gray”-colored version of the iPhone 5s, the report said, are still available. Analysts’ predictions for Apple's sales this weekend range from 5 million to 8 million units. STI Engineering is delighted to announce the release of the RFI-148 250 high performance paging transmitter. The transmitter features true DDS frequency generation that enables precise control and flexibility for a wide range of data transmission applications. 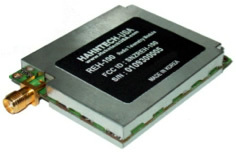 The transmitter is particularly suitable for large simulcast POCSAG and FLEX paging networks and can be used as drop-in replacement of older and obsolete transmitters. AT&T has completed its $1.9 billion acquisition of spectrum from Verizon Wireless. The deal includes the transfer of licenses in the 700 MHz and AWS bands. Verizon agreed to sell 39 lower 700 MHz B block licenses to AT&T for $1.9 billion. In exchange, AT&T will hand over 10 MHz of AWS spectrum to Verizon in western markets like Los Angeles, Phoenix, Fresno, and Portland, Oregon. Verizon also sold 700 MHz B block licenses to Florida-based private equity firm Grain Management for $189 million in exchange for leased access to Grain's AWS spectrum in Dallas, Texas — which Grain is buying from AT&T. In total, the licenses cover 42 million people in 18 states — California, Colorado, Florida, Idaho, Illinois, Louisiana, Montana, New Mexico, New York, Ohio, Oklahoma, South Dakota, Tennessee, Texas, Utah, Virginia, Washington, and Wyoming. The arrangement was first announced in January , and is intended to help AT&T's rollout of its 4G LTE network, which has now launched in 396 markets. The carrier said it wants to "substantially complete" its 4G LTE buildout by the summer's end. Verizon agreed to give up its spectrum, meanwhile, in order to gain regulatory approval for its $3.6 billion purchase of spectrum from U.S. cable companies. That deal went through in August 2012 , but only because Verizon promised last year to sell its 700 MHz spectrum. Back in 2008, Verizon spent $9.4 billion on 109 licenses in the 700-MHz band during an auction run by the Federal Communications Commission, ending up with spectrum in the A, B, and C blocks. Verizon said last year that it has used spectrum in the upper C block to deploy its 4G LTE network, and plans to use the cable-owned spectrum to continue that rollout. As a result, Verizon sold the 700-MHz spectrum it purchased in the A and B blocks to the highest bidder. 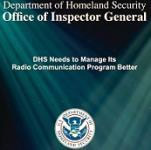 The inspector general at DHS has issued a scathing report that concludes that DHS is "not effectively managing its radio communication program." The IG report notes that DHS operates 20 different land mobile radio networks serving 120,000 frontline agents and officers. The department also manages radio equipment items and infrastructure sites worth more than $1 billion. DHS believes it urgently needs to modernize its radio systems, and has estimated that such an upgrade program would carry a price tag estimated at $3.2 billion, but the IG report does not think the Department has a handle on its communications assets. "DHS does not have reliable Department-wide inventory data or an effective governance structure to guide investment decision-making," say the auditors. To illustrate that conclusion, the report points out that two components of DHS have been storing more than 8,000 radio equipment items valued at $28 million for a year or longer at their maintenance and warehouse facilities, while some communications programs faced critical equipment shortages. The IG report offered two fundamental recommendations: DHS should establish a "single point of accountability" at the department level, with broad-ranging authority, and (2) DHS should develop a single portfolio of all of its radio equipment and infrastructure. According to a summary of the IG report, DHS senior management concurs with the IG's recommendations. To see a complete version of the report, click here. Summary: If you downloaded and installed iOS 7, there are a few privacy settings that are turned off by default that you should enable right away. Life is good and time to fire up your favorite iTunes Radio station , right? Before diving into the beautiful, parallaxy, candy-colored world that is iOS 7, you need to adjust your privacy settings on your iPhone or iPad. If you like your Privacy, that is. Installing iOS 7 is pretty easy and, even if you don't back up your data ahead of time , it will usually put everything back right where it belongs. Well yes, that's how iOS 7 is designed to work. But don't let Apple's thin Helvetica Neue and and serene, dynamic wallpapers lull you into complacency. A whole number iOS upgrade is a big deal and it resets a bunch of your settings and adds other new ones that you should be aware of. Apple hides its System Services settings all the way down at the bottom of the Privacy > Location Services panel. If you've owned your iPhone for more than a few months you'll have dozens (if not a hundred plus) app lists on this screen, making it a very long scroll. If you actually make it to the bottom of the list (most people don't) you'll see the fabled System Services setting and the explanation of what that little purple arrow icons means. Learn this screen and commit the meanings of the three little arrow icons to memory. Then notice when they appear in the top right of your iOS menu bar and come back to Settings > Privacy > Location Services to see which apps are using your location data. Audit this screen frequently to disable location access for apps that don't need it. Then touch System Services to reveal the most important privacy settings on your iPhone or iPad. The Diagnostics & Usage setting monitors everything you do on your iPhone and "anonymously" sends it to Apple for "improving iOS." Whatever. It's just like when all the major software companies changed their install screens from "send usage data" to "customer experience program" or some such If that option is on you're basically giving Apple your permission to monitor and record everything you do on your device. Frequent Locations is equally bad, if not more so. There was a big stir about this when iOS 7 beta 5 was released and the data it captures about your "frequent locations" can be downright creepy. In fact, for many it brought back memories of the Locationgate fiasco from iOS 4 in April 2011 when a "database of Wi-Fi hotspots and cell towers around your current location" (a.k.a. Consolidated.db) was discovered on iOS 4 devices — and the computers they're backed up to. Apple's one of the few companies that still supports the aging Do Not Track standard in its mobile Web browser. Even if it is considered dead and my colleague here at ZDNet Ed Bott called it " worse that a miserable failure ," I turn it on anyway, for the few web servers that actually respect it. Why Should You Choose Specialty Answering Service? Specialty Answering Service is one of the most trusted call center service-providers in the industry. We have combined an amazing business answering service with a passion for technology and customer service to develop an essential solution for any company looking to stay ahead in our “on demand” world. Your customers want information and answers now. Are you ready to help them? We are! 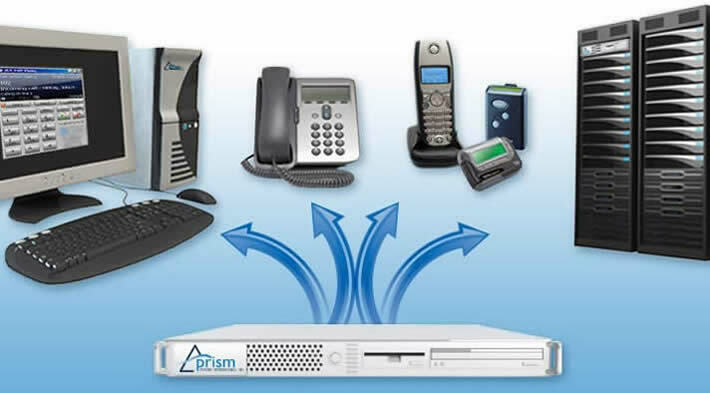 We are able to integrate with any paging or messaging service that our clients already subscribe to. We recommend and implement better cost effective solutions. We are not just another vendor — We are a part of your team. All the advantages of high priced full time employment without the cost. We are in the Customer Satisfaction business. Making systems More Reliable and MORE PROFITABLE for over 28 years. 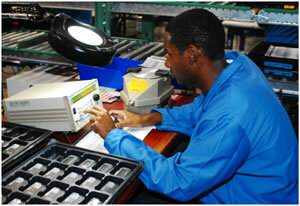 Serialized Tracking through PSSI's proprietary Work-In-Process (WIP) and shop floor management system PSS.Net. This system allows PSSI to track each product received by employee, work center, lot, model, work order, serial number and location, tracking parts allocated, service, repair and refurbishment actions through each stage of the reverse logistics process. Access to order status and repair reports can be transmitted electronically in formats like FTP, EDI, API, XML or CSV. Expertise, PSSI's executive team has 125+ years of industry experience. We also offer refurbished Alphamate 250's, Alphamate IIs, the original Alphamate and new and refurbished pagers, pager repairs, pager parts and accessories. We are FULL SERVICE in Paging! Brad Dye, Ron Mercer, Allan Angus, Vic Jackson, and Ira Wiesenfeld are friends and colleagues who work both together and independently, on wireline and wireless communications projects. 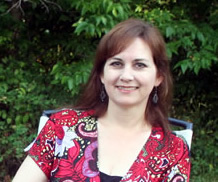 Click here for a summary of their qualifications and experience. Each one has unique abilities. We would be happy to help you with a project, and maybe save you some time and money. 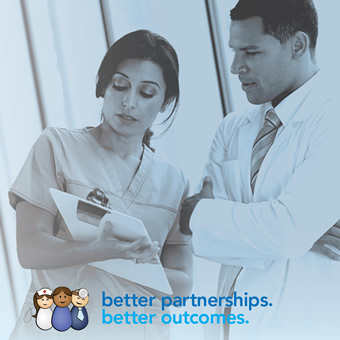 Providing better communications solutions to hospitals across the country — together! Selected portions of the BloostonLaw Telecom Update, and/or the BloostonLaw Private Users Update—newsletters from the Law Offices of Blooston, Mordkofsky, Dickens, Duffy & Prendergast, LLP are reproduced in this section with the firm's permission. Now is the time to seek FCC approval for any transaction that you are planning to close before the end of the calendar year. As discussed in the article below, many types of reorganizations and other transactions require prior FCC approval even if the ultimate ownership remains unchanged. A change in the form of organization from a corporation to an LLC, or vice versa, even though such changes are not regarded as a change in entity under state law. Any transfer of stock, partnership or LLC interests that would have a cumulative effect on 50% or more of the ownership. The creation of new classes of stockholders that affect the control structure of an FCC license holder. Certain minority ownership changes can require FCC approval (e.g., transfer of a minority stock interest, giving the recipient extraordinary voting rights or powers through officer or board position). Fortunately, transactions involving many types of licenses can often be approved on an expedited basis. But this is not always the case, especially if bidding credits and/or commercial wireless spectrum are involved. Also, in some instances Section 214 authority is required, especially in the case of wireline and other telephony services. Clients planning year-end transactions should contact us as soon as possible to determine if FCC approval is needed. On September 17, 2013 the FCC came under formal pressure from the Obama Administration to adopt regulations prohibiting cell phone locking where the customer's contract with the provider of the phone has expired. The pressure came in the form of a Petition for Rulemaking filed by the National Telecommunications and Information Administration (NTIA), part of the U.S. Department of Commerce. By way of background, since the 1998 enactment of the Digital Millennium Copyright Act (DMCA), the Librarian of Congress has conducted proceedings every three years to determine exemptions to the prohibition against circumvention of technological measures used to protect copyrighted works. The DMCA requires the Librarian to consult with NTIA during these proceedings. During the last three proceedings, beginning in 2005, the Librarian received petitions to exempt unlocking of mobile phones from the prohibition. The Librarian granted the requests for exemption in 2006 and 2010. In 2012, NTIA recommended that the Librarian grant the exemption for the unlocking of mobile phones, as well as other wireless devices such as tablets. Contrary to NTIA's recommendation, the Librarian denied this request, granting an exemption only for unlocking mobile phones purchased before January 2013, effectively making unlocking of new wireless phones a violation of copyright law. The White House requested that NTIA work with the FCC toward a permanent regulatory solution to this issue. In its Petition, NTIA requests that the Commission add a new section to Part 20 of the regulations to require a provider of commercial mobile radio service and commercial mobile data service, upon request and without charging a fee, to unlock any wireless device furnished by that provider (including an affiliate or an agent of the provider), so that the requesting person ( i.e., a customer or successor) may use the device in connection with another lawfully obtained commercial mobile service. A provider may comply with this requirement by unlocking the device itself or by providing authorization and the technical wherewithal to another provider to unlock the device. According to NTIA, by giving consumers greater freedom to choose among alternative mobile service providers and to use wireless devices that they lawfully acquire from others, the proposed rule would increase competition in the mobile services market and enhance consumer welfare. Last Thursday in a speech at a Competitive Carriers Association event, Acting FCC Chairwoman Mignon Clyburn expressed her support for wireless device unlocking. In remarks, NTIA's Petition was applauded by influential members of the U.S. House of Representatives. CTIA — The Wireless Association was more restrained in its comments. On September 17, 2013 the FCC released an Order denying Assist 123's request for review and reversal of a decision of the Universal Service Administrative Company upholding late fees assessed for Assist's untimely filing of its August 2012 and November 2012 Forms 499-Q. According to the Order, Assist attempted to file its August 2012 Form 499-Q electronically, appropriately entering data into the "Data Entry Form" screen in USAC's E-file system. However, instead of clicking the "Certify" button, Assist apparently printed out a copy of the "Data Entry From" screen (despite the screen's warning: "For Data Entry Purposes Only. Please Do Not Print This Form") and did nothing further. USAC e-mailed Assist on August 22 (21 days after the failed filing attempt) to notify the company that there was no record if its Form 499-Q for that quarter, but apparently received no response until November 14, when it received the printed Data Entry Form from Assist. Now more than three months after the filing deadline, USAC rejected the submission and notified Assist that it had used the wrong format. Assist filed again on November 21, 2012, this time using the proper Form 499-Q, but using data from 2011 instead of 2012. USAC again rejected the form, this time citing the incorrect data. Assist filed attempted to file again January 2013, again using data from 2011 when the filing required 2012 date. The correct form with the correct data was not submitted until February of 2013 — almost six months after the deadline. (Assist apparently made a similar error by providing outdated data with its November filing as well). Accordingly, Assist was assessed late fees. It's worth noting that in denying Assist's petition, the FCC pointed out that Assist not only missed the filing deadline, but the 45-day window to submit revisions to Form 499-Q, suggesting the possibility that the outcome may have been different if the forms were correctly submitted within that 45-day window. On September 12, 2013, the FCC released a Public Notice announcing the second workshop for its Technology Transitions Policy Task Force, to be held on Tuesday, October 15, 2013. The purpose of the workshop is to focus on the consumer and competitive impacts of two key technology transitions: the replacement of copper networks with fiber and the shift from wireline services toward greater use of wireless services. Specifically, the workshop will solicit data and analysis on the potential effects on residential and business consumers as well as the competitive marketplace when providers retire or discontinue copper-based services and replace them with IP-based fiber and/or wireless service. Panelists have not yet been announced, but will reportedly include both stakeholders and observers to discuss how these technological changes could potentially affect consumers and competition. Additional details concerning the workshop agenda and panelists is forthcoming. The workshop will be free and open to the public in the Commission Meeting Room (TW-C305) at 445 12th Street, S.W., Washington, D.C., 20554. It will also be broadcast live via the internet at http://www.fcc.gov/live . The New York Times is reporting that the president of the European Commission supports a plan that would phase out wireless roaming fees in the European Union starting in 2014 as part of a wider overhaul of the telecommunications industry. The European Union already caps roaming fees which, according to the Times, are so high that many European travelers often switch off their phone entirely when crossing borders — which in turn hampers development of services in the industry. The charges also reportedly make up a large chunk of telecommunications companies' profits. The plan, proposed by the European Commission's Commissioner for Telecommunications, Neelie Kroes, also includes rules for enforcing Net Neutrality across Europe. As reported in the previous edition of the BloostonLaw Telecom Update, oral arguments on the U.S. Net Neutrality rules were heard on Monday, September 9. According to technology reporting website Engadget, the proposal prevents internet providers from blocking and throttling content. "Firms could offer priority services like IPTV only as long as these features don't slow down other subscribers, who could walk away from contracts if they don't get their advertised speeds." In an increasingly global economy, it will be interesting to see what develops in Europe as a result of this proposal, and whether any effects will ripple across the Atlantic to affect the U.S. industry. The trend of wireless carriers selling their cell towers to raise cash appears to be continuing as a report from Bloomberg indicates that AT&T is structuring a deal with TAP Advisors and JPMorgan Chase that could value these assets at as much as $5 billion. Potential buyers include one of the three major US tower companies: Crown Castle, SBA Communications or American Tower. AT&T indicated last March that it was receptive to the sale of its wireless towers and other non-core assets. According to a recent JP Morgan analyst’s report, AT&T has about 10,000 towers, which generate close to $326 million in annual revenue through lease agreements. A sale of these assets could bolster AT&T’s balance sheet and give the company additional resources as it pursues a reported $14 billion network upgrade as well as a stock buyback that could cost more than $11 billion. AT&T would then lease its tower space back from the new owner. Earlier this month, American Tower agreed to buy the parent company of Global Tower Partners for $4.8 billion, including debt. GTP was previously the largest privately held operator of cell towers in the US. Last year, Crown Castle paid $2.4 billion to T-Mobile USA for exclusive rights to lease and operate 7,200 of T-Mobile’s towers for 28 years, with the option to purchase the towers at the end of the lease. Sept. 18 – Reply Comments on reforms to protect VRS program are due. Sept. 18 – Comments are due on FCC’s Notice of Proposed Rulemaking on Advanced Wireless Services. Sept. 20 – Regulatory fees are due. Sept. 27 – Challenges to FCC Census Blocks that price cap carriers have requested funding to serve as part of the second round of CAF Phase I are due. Oct. 7 – Comments on proposed changes to FCC Form 555 (annual Lifeline ETC certification) are due. Oct. 8 – Electronic filing deadline for Form 497 for carriers seeking support for the preceding month and wishing to receive reimbursement by month’s end. Oct. 14 – Deadline to seek extension of CALM Act small provider grace period. Oct. 16 – Reply Comments are due on FCC’s Notice of Proposed Rulemaking on E-Rate 2.0. Oct. 16 – Reply Comments are due on FCC’s Notice of Proposed Rulemaking on Advanced Wireless Services. Oct. 28 – Responses to FCC Census Blocks that price cap carriers have requested funding to serve as part of the second round of CAF Phase I are due. Nov. 1 – Reply Comments are due on FCC’s guidelines for human exposure to RF electromagnetic fields. Nov. 4 – Comments on the continuation of the BroadbandMatch website tool are due. The Premium Supporters have made repeated, and generous donations to help keep the newsletter going. Wayne S. Green II, W2NSD ("Never Say Die"), of Hancock, New Hampshire, died September 13. He was 91. A well-known and often outspoken figure during what some consider Amateur Radio's golden years in the 1950s and 1960s, Green helmed CQ Magazine for 5 years before becoming the self-proclaimed "El Supremo and Founder" in 1960 of 73 magazine , which he published until 2003. "The purpose of  at that time was to get more hams building equipment," Green recounted in a radio interview several years ago. A hallmark of 73 was Green's iconic, rambling, and wide-ranging "Never Say Die" editorials, in which he rarely missed an opportunity to tweak the ARRL and his magazine competitors for their perceived shortcomings. In 2012 Green contributed back issues of 73 to Internet Archive . "Wayne will be remembered in many different ways by many different people, but he will be long remembered," said ARRL CEO David Sumner, K1ZZ. "He maintained his membership in the ARRL despite being a persistent critic. In the early days of packet radio he gave me some good advice as to how the ARRL should promote the new technology: 'Talk about it as if everybody's doing it, and eventually they will be.'" 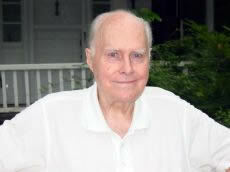 Indeed, Green often was ahead of the curve in promoting such technologies as single-sideband phone, solid-state, FM, and the marriage of computers and ham radio, and he went on to found and publish Byte and other computer-oriented publications. "I live mostly in the future," Green was quoted as saying. Former ARRL Contributing Editor Stan Horzepa, WA1LOU, once wrote in his "Surfin'" web column, "We take computers and the Internet for granted today. I first became interested in computers when Wayne Green, W2NSD, started writing about them in 73 magazine in the 1970s. Back then, you had to build your own from scratch or from kits." Green maintained a larger-than-life presence, even in the years after he faded from the Amateur Radio spotlight, and he never did really retire. "Hey old buddy, I will miss you," radio talk show host Art Bell, W6OBB, posted to Wayne Green's blog . "NEVER SAY DIE is a phrase that will be with me till it's my time." Green was an occasional guest on Bell's "Coast to Coast AM" overnight talk program. There hardly was an issue that Green would not confront, and he expounded a variety of unconventional science, health, and medical theories — from cold fusion and the moon landing to AIDS and cancer cures. He continued to write and speak frequently on these topics and others, as well as on public policy, even at hamfests where he was a guest. The "Final" in his blog sums up Green's overarching philosophy. "Wayne Green passed away September 13, 2013 in a peaceful, painless transition from this life on Earth. An eternal optimist, and one who loved to share his never-ending zest for life, he was a friend to many and will be missed greatly. Wayne was not afraid of dying and was very much ready to embark on his next great adventure to the afterlife." We have learned of the passing of Wayne Green W2NSD on 12 September. For those who came in late, Green was Amateur Radio's resident curmudgeon from the late fifties through the mid nineties. After a short stint as editor of CQ Magazine, he went on to found 73 Magazine, an eclectic little blend of tech, operating information and Wayne's own commentary. His editorials were remarkably visionary when it came to the Service, and he never missed an opportunity to take a swipe at the League (while maintaining his membership!). However and as with all intelligent folks, he got bored easily and strayed into tinfoil hat land with rants about unsafe food, the IRS, his ex-wives, the dangers of living near power lines, and whether or not the moon landings were fake (he claimed that they were). It was never dull. Through 73, Wayne encouraged early adoption of FM repeaters, RTTY, and personal computers generally among other things. He hadn't been directly involved in Amateur Radio commentary since the demise of 73, which was unfortunate. Wayne Green was 91. Click on the logo above for more info. No letters to the editor this week. THE BOY WHO BECAME A REBEL. THE REBEL WHO BECAME A SOLDIER. THE SOLDIER WHO BECAME AN ICON. THE ICON WHO DISAPPEARED. Raised in Park Avenue privilege, J. D. Salinger sought out combat, surviving five bloody battles of World War II, and out of that crucible he created a novel, The Catcher in the Rye, which journeyed deep into his own despair and redefined postwar America. 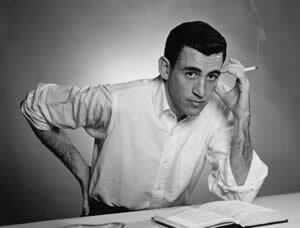 For more than fifty years, Salinger has been one of the most elusive figures in American history. All of the attempts to uncover the truth about why he disappeared have been undermined by a lack of access and the recycling of inaccurate information. 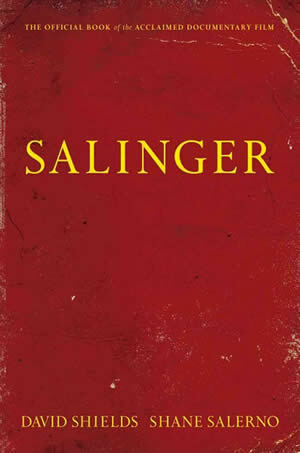 In the course of a nine-year investigation, and especially in the three years since Salinger's death, David Shields and Shane Salerno have interviewed more than 200 people on five continents (many of whom had previously refused to go on the record) to solve the mystery of what happened to Salinger. Constructed like a thriller, this oral biography takes you into Salinger's private world for the first time, through the voices of those closest to him: his World War II brothers-in-arms, his family, his friends, his lovers, his classmates, his editors, his New Yorker colleagues, his spiritual advisors, and people with whom he had relationships that were secret even to his own family. Their intimate recollections are supported by more than 175 photos (many never seen before), diaries, legal records, and private documents that are woven throughout; in addition, appearing here for the first time, are Salinger's "lost letters"—ranging from the 1940s to 2008, revealing his intimate views on love, literature, fame, religion, war, and death, and providing a raw and revelatory self-portrait. Salinger published his last story in 1965 but kept writing continuously until his death, locked for years inside a bunker in the woods, compiling manuscripts and filing them in a secret vault. Was he a genius who left the material world to focus on creating immaculate art or a haunted recluse, lost in his private obsessions? Why did this writer, celebrated by the world, stop publishing? Shields and Salerno's investigation into Salinger's epic life transports you from the bloody beaches of Normandy, where Salinger landed under fire, carrying the first six chapters of The Catcher in the Rye. . . to the hottest nightclub in the world, the Stork Club, where he romanced the beautiful sixteen-year-old Oona O'Neill until she met Charlie Chaplin . . . from his top-secret counterintelligence duties, which took him to a subcamp of Dachau . . . to a love affair with a likely Gestapo agent whom he married and brought home to his Jewish parents' Park Avenue apartment and photographs of whom appear here for the first time . . . from the pages of the New Yorker, where he found his voice by transforming the wounds of war into the bow of art . . . to the woods of New Hampshire, where the Vedanta religion took over his life and forced his flesh-and-blood family to compete with his imaginary Glass family. Deepening our understanding of a major literary and cultural figure, and filled with many fascinating revelations—including the birth defect that was the real reason Salinger was initially turned down for military service; the previously unknown romantic interest who was fourteen when Salinger met her and, he said, inspired the title character of "For Esmé—with Love and Squalor"; the first photographs ever seen of Salinger at war and the last known photos of him alive; never-before-published love letters that Salinger, at fifty-three, wrote to an eighteen-year-old Joyce Maynard; and, finally, what millions have been waiting decades for: the contents of his legendary vault— Salinger is a monumental book about the cost of war and the cost of art. Newspapers generally cost 75¢ $1.50 a copy and they hardly ever mention paging or wireless messaging. If you receive some benefit from this publication maybe you would like to help support it financially? A donation of $50.00 would certainly help cover a one-year paid subscription. If you are wiling and able, please click on the PayPal Donate button on the left. Any amount will be sincerely appreciated.